361. 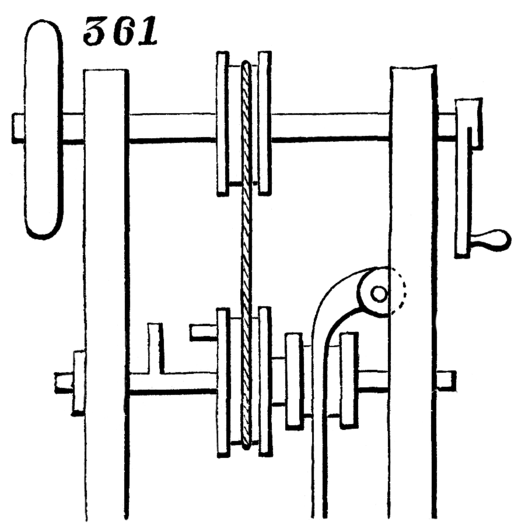 Another simple form of clutch for pulleys, consisting of a pin on the lower shaft and a pin on side of pulley. The pulley is moved lengthwise of the shaft by means of a lever or other means to bring its pin into or out of contact with the pin on shaft.